I'm continuing my ABCs of plants in my garden series with Photinia fraseri. You can view the others in the series on my sidebar or on the Plant ABCs tab at the top. Plant ABCs is a series to document the plants in my garden. I'm going through the alphabet in order and when it is completed I will add and update entries. 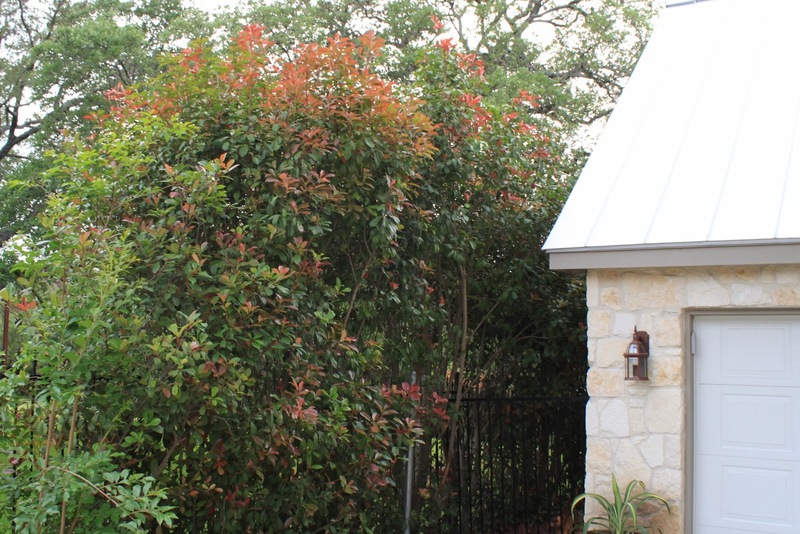 Photinia fraseri or Red-tip Photinia is one of the most common plants in my neighborhood. Almost everyone used it for screening along their fences when the houses were built. This non-native plant originated in New Zealand and has more recently been replaced in newer developments with native shrubs. The photinia in my yard have been here for 18 years and along the fence line for even longer so they aren't going anywhere soon. It's Fiesta San Antonio week so lets celebrate by heading to the San Antonio Cactus & Xerophyte Society State Show & Sale in the San Antonio Garden Center which shares a parking lot with the San Antonio Botanical Gardens. This is an official Fiesta event and probably the only one I'll attend this year. Both a show and sale are available so we'll visit the show section exhibits and displays around the sides of the room first. This week I'm joining Gail at Clay and Limestone for Wildflower Wednesday. Wildflower Wednesday is a special opportunity to track the progress of the wildflowers I am establishing in my yard. It's amazing what happens when you put out the welcome mat for native plants and flowers. For example, these Indian Blanket flowers (Gaillardia pulchella) or Firewheel surprised me by blooming this week. 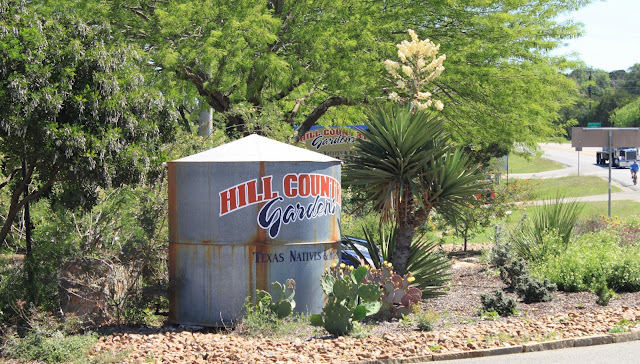 It's been a while since I've visited Hill Country Gardens in New Braunfels and even longer since I posted about all the changes taking place there. That it had been too long was confirmed last week when Andrea, the owner, commented "it's been a while since we've seen you" after I responded to her Facebook post on weekend sales and seminars. Hill Country Gardens has been an important native plant resource for local gardeners for more than 20 years. In 2011, Andrea Sanger acquired the nursery from the original owner and has made many improvements in the last two and a half years while maintaining the focus on native plants. 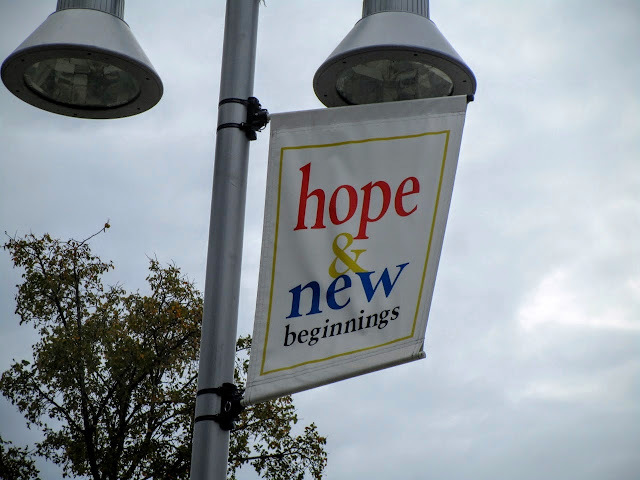 In October 2012, Andrea's first anniversary celebration event was one of my first posts on this blog. Today seems like a good day to post some random garden pictures and things that made me smile recently. The claret cup cactus I received at the swap two weeks ago opened two blooms at once. Like a cute little frog looking at you. 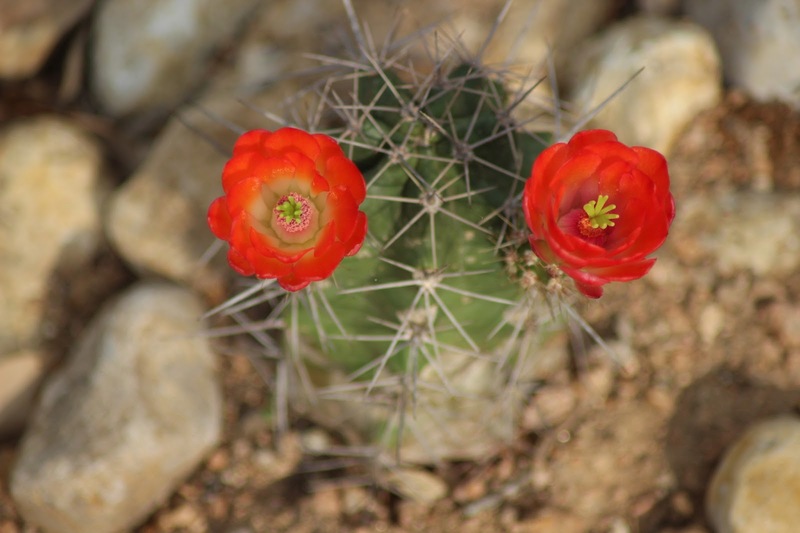 Claret cup blooms last about two days. Today I join Pam at Digging for Foliage Follow-up with a couple of new plants this spring. Like many of you I was preoccupied today, but reading the other posts gave me an idea. 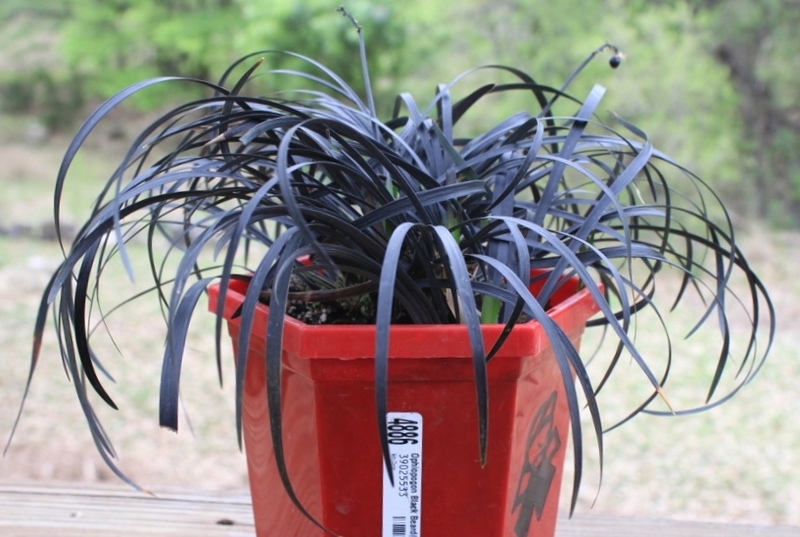 I'm excited to have acquired a plant which has been on my list so long I almost forgot about it until the bright red containers caught my eye at Shades of Green nursery recently. Black Mondo! 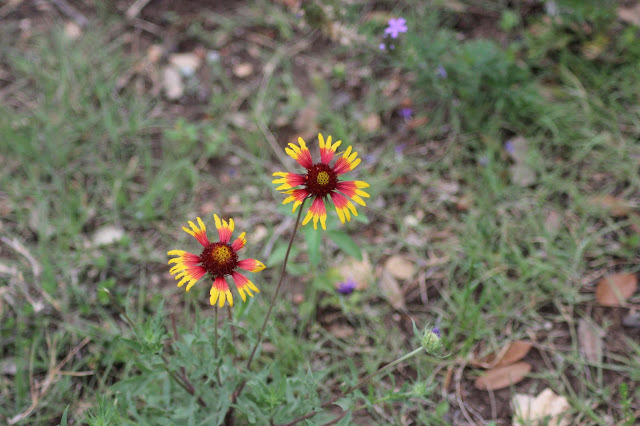 It's Garden Blogger's Bloom Day and time to see what's blooming this week in my south central Texas garden where the temperatures will soon reach into 90s. 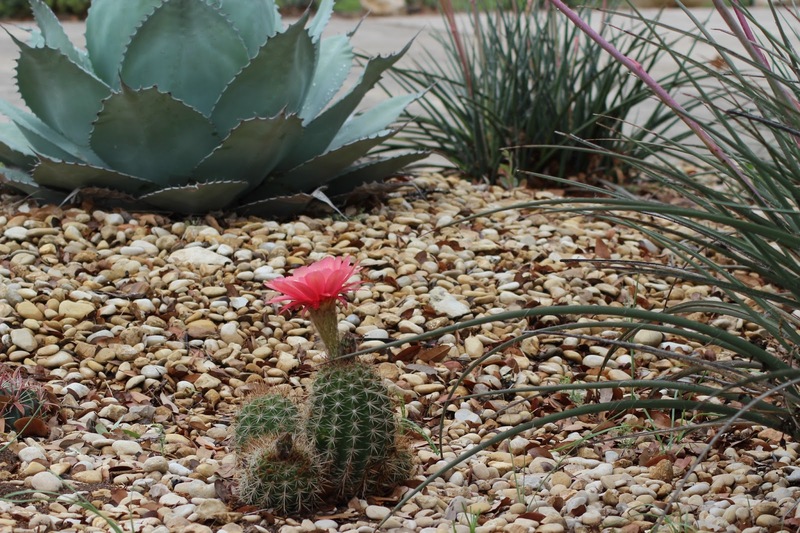 First is a pretty coral cactus bloom on an unidentified barrel cactus in the front gravel garden. 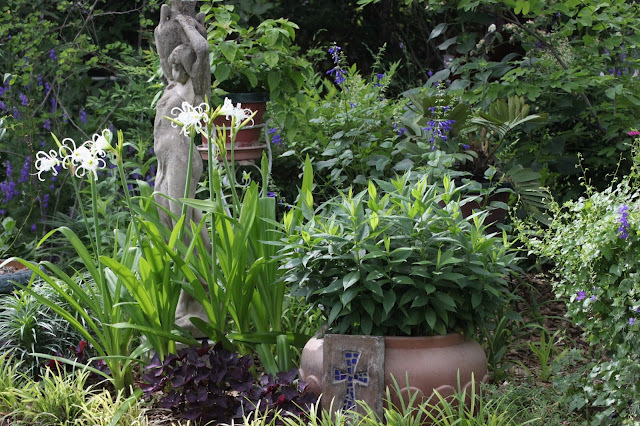 This week a very special San Antonio garden, that of gardening friends Ragna and Bob Hersey, is featured on the Austin-based PBS show Central Texas Gardener (CTG). When I first visited their garden the late winter 2012 it was still dormant yet I knew instantly it was a beautiful garden to share on my blog. Even though Ragna had just pruned the roses back and only a few perennials were beginning to emerge, it was a very special place to visit. Later in the spring I returned to photograph and post a tour of this romantic Texas cottage garden. Each spring my neighborhood holds a garage sale weekend for the entire community. It's a great time to get out, talk to the neighbors, and see what's going on across this roughly one square mile of houses. The neighborhood was built one house at a time over more than 60 years which makes for an interesting mix of styles. Today's post features scenes from the older section which is quite popular for its large lots and big trees. 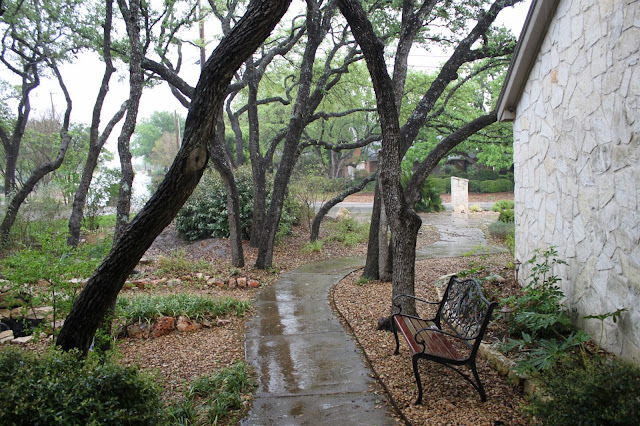 The lack of curbs along the street gives it a country feel. 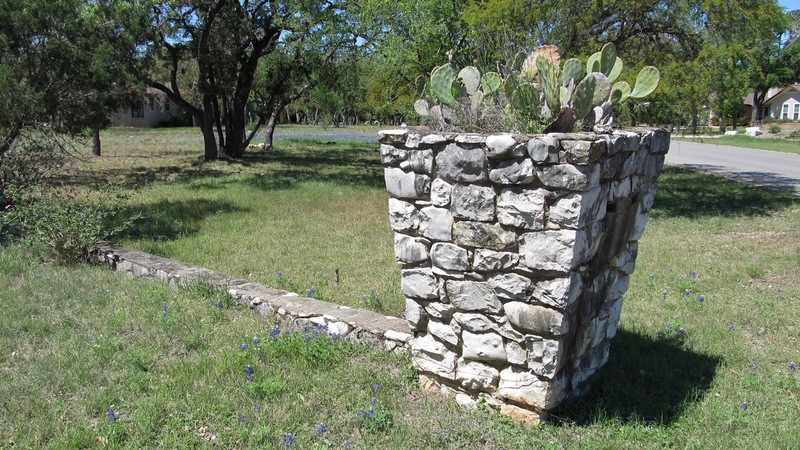 This house on a large corner lot has an old stone planter with opuntia and a low wall. The pretty patch of bluebonnets seen in the distance return every year. Spring is for swapping plants. 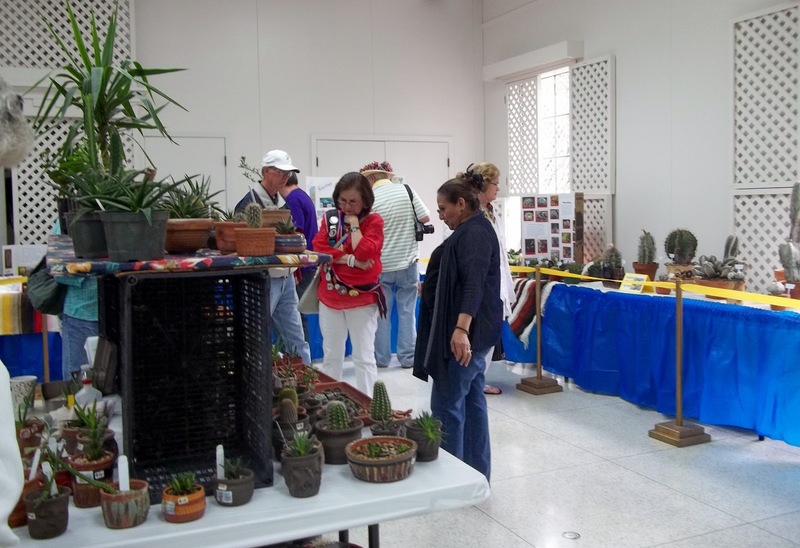 Our little group of about 25 - 30 avid gardeners meets twice a year to swap plants and share advice about gardening in San Antonio. It was chilly (50F), cloudy, and windy this past Saturday when we met at a local park but we're not just fair weather gardeners so we persevered and the sun came out eventually. I've been attending four years and hosting the swap for the past two years. I'm still trying to figure out how everyone seems to go home with more plants than they brought! 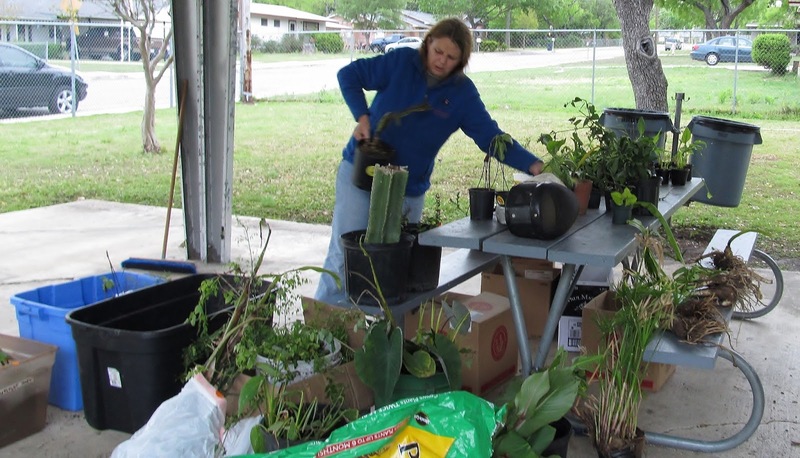 Here's Tally setting up her trades, she makes the four hour trip from Galveston to visit with us and share plants. Her garden was wiped out by Hurricane Ike in 2008, yet she always has so many plants to share, especially crinum and hymenocallis bulbs you can see on the bench in front of her. What a beautiful picture! Not a big deal unless you know this was only our third rain this year. After seeing so many soggy blog photos from other regions I was beginning to feel left out so I'll take this rare chance to share a few from my own garden. Close to two inches of rain fell over two days which almost doubles our total for 2013. There was a bit of hail overnight but no damage. The good news is most of the pollen was washed out of the live oak trees as shown below. The rain also brought down the rest of the old oak leaves which fall here in the spring. 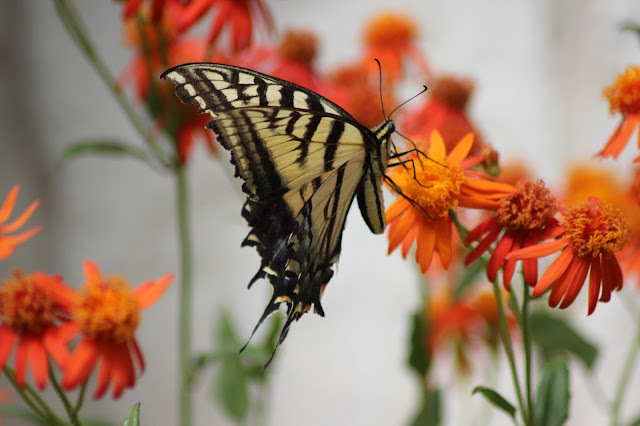 Just when I thought I had shown the Mexican Flame Vine flowers from every angle this Tiger Swallowtail (papilio glaucus) shows up for a shot of nectar.